TOUCH - This innovative and refreshing moisturizing cream, comes in the form of a light and fresh mousse made with Sencha Green Tea extracts, known for their antioxidant and regenerating properties. Green Coffee and Matè Extracts add reshaping, firming and elasticity actions. Argan oil, rich in vitamin E and phytosterols, moisturizes, tightens and keeps the skin toned. SMELL - The mousse has a delicate citrus fragrance, due to the presence of essential oils of Lemon and Neroli . 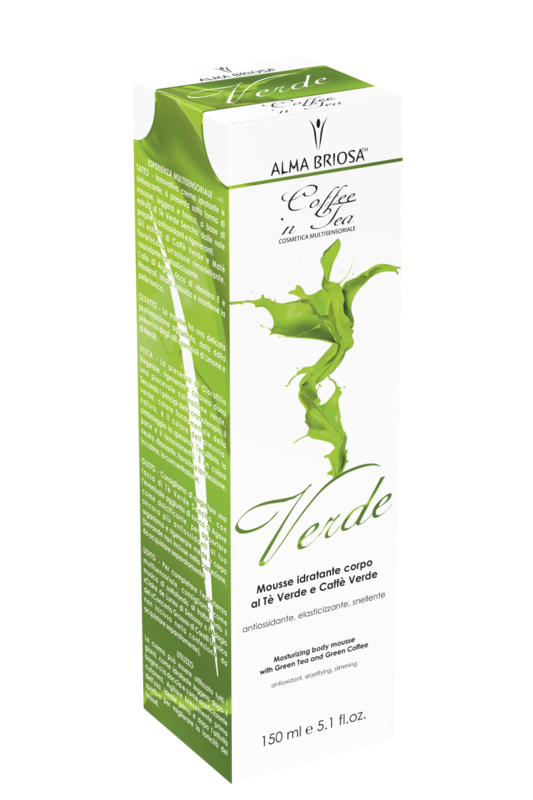 VIEW - The product is characterized by the delicate and pleasant green color, due to the presence of Vegetal Chlorophyll, a renown skin rejuvenator. According to chromotherapy principles, green, the primary color of nature , is the color of harmony: it symbolizes hope , balance, peace and renewal. It is a neutral relaxing color and it encourages reflection, calmness, and concentration . TASTE - We suggest to enjoy a cup of Sencha Green Tea, with the addition of Agave juice as sweetener, to bring additional antioxidants to your body and rejuvenate your mind and soul (drinks not included in the package, please purchase separately). HEARING - To complete the multisensory experience, we recommend, as background music to the treatment: Debussy’s «Claire de Lune» or Corelli’s Adagio from «Concerto Grosso» (music not included in the package, please purchase separately) . The cream can be used as a daily moisturizer after bathing or showering and to increase skin elasticity. Shake before use. It can be used before/after workout to improve skin tonicity. 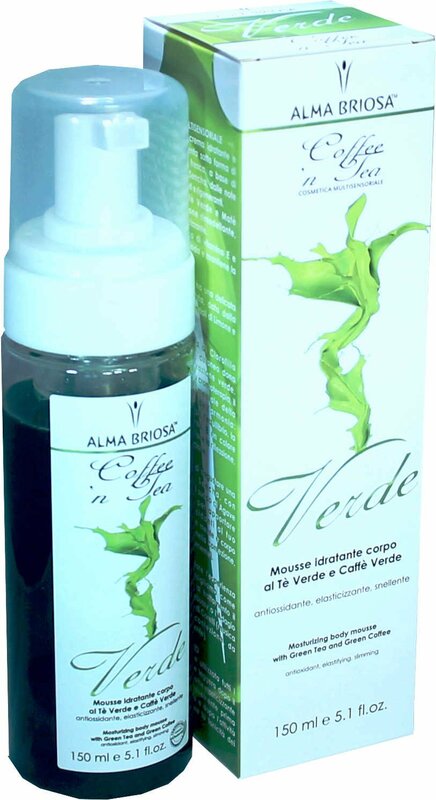 INCI	 INGREDIENTI/INGREDIENTS: Aqua**, Polyglyceryl-4 caprylate**, Sodium lauroyl glutamate**, Decyl glucoside**, Diglycerin**, Glycerin**, Coffea arabica seed extract** (Green Coffee), Camellia sinensis leaf water** (Green Tea), Glucose**, Argania spinosa oil*/**, Ilex paraguariensis leaf extract**, Sorbitol**, Sodium glutamate**, Citrus limon peel oil**, Hydrolyzed wheat protein**, Panthenol**, Urea**, Benzyl alcohol, Potassium sorbate, Limonene**, Glycine**, Lactic acid**, Sodium PCA, Chlorophyllinum cupreum**, Citral**.